5 comments to New Eagle Regulations: Misunderstood? I agree with you on this. Since the ESA no longer applies to Bald Eagles, there is some cause for concern about whether the USFWS will award more permits than before. But overall it doesn’t seem like that much of a change, which I think is basically what I said in my own post on the issue. John – thanks for the comments. I had somehow missed your post on the topic, but just went and had a look at it. For my readers, you can read John’s thoughts here. I think the rule is very sensibly written, but you’re right, there is always some room for reinterpretation of the details in the future, and since the actual approval of permits is at the discretion of FWS, the approval rates and justification could always change at some later date. But for now, I think it’s a good piece of work by the agency. I agree Matt, I think the new regs provide a good balance. Limiting “take” to 5% of productivity, as I understand it, is per FWS region. Our region 5 has ~1700 Bald Eagle nests. 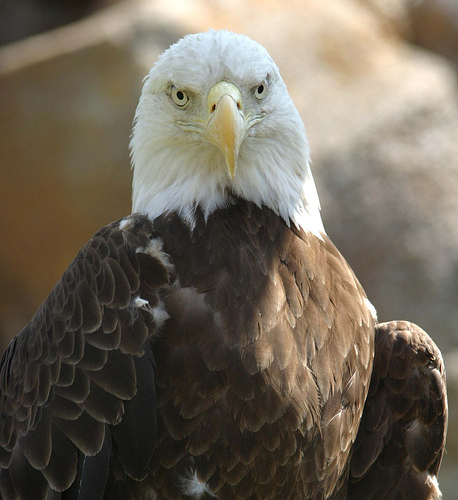 Bald Eagles lay 1-3 eggs per year. If we optimistically assume this means an average productivity of 2 eaglets per year per nest, the 5% quota for region 5 is about 170. There are many activities that may “take” Bald Eagles — Amtrak, transmission lines, wind projects. It is hard to know what the response will be for “take” applications, but there is a lot of industrial development in the region 5 states. I suspect there could be a rush for take permits and 170 is not all that many — Amtrak may use up a dozen or more by itself. It will be interesting to follow how these regs play out in the coming years. Bill – I think you’re right in saying that the 5% annual productivity cap is figured on a regional basis. I should add also that even if the service considers issuing more permits for Golden Eagles in future years, the cap they mention for that species is 1% annual productivity. (However, the initial strategy will be to continue to issue permits at historical levels until there is evidence that the population would support an increase in take permits). Thanks for the thoughtful comments! I am a raptor rehabber in Kansas including Bald & Golden Eagles. I would like either of these men to give me ONE GOOD REASON TO GO AND KILL OR (TAKE) A BALD EAGLE! Don’t we have enough things to kill in this world without taking our National Symbol. I would like to see anyone explain this to a soldier or a family that has lost a loved one defending our country and the symbol that is stand for! There should 0% take! Period!